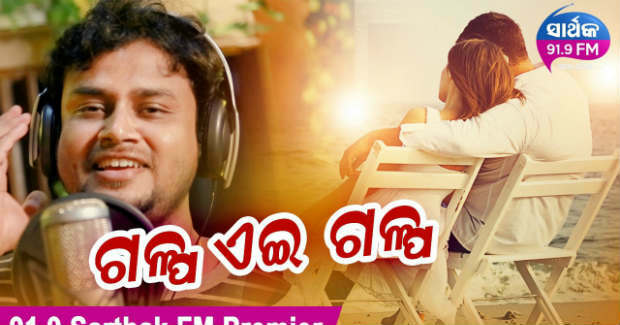 Galpa E Galpa is a brand new Odia song in the voice of Maadhav Dash and aired on 91.9 Sarthak FM recently. You can also listen this song tuning Sarthak FM in your radio or you can download “91.9 Sarthak FM App” on your mobile phone to enjoy this magic of music. The song ‘Galpa E Galpa’ is a beautiful number, sung by Maadhav Dash, composed by Arvind Pandey and written by Arun Mantri. Listen Galpa E Galpa audio song here.